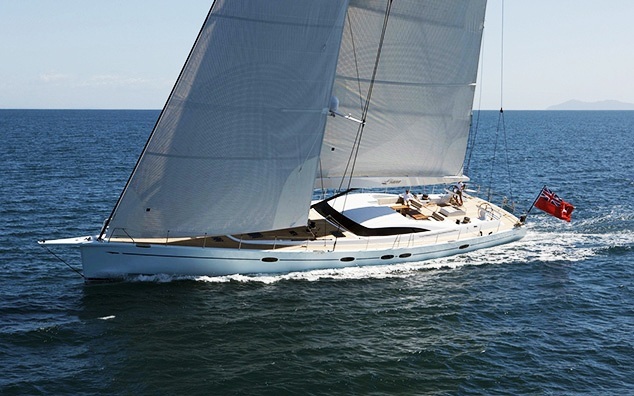 Luxury Charter Yacht DANNESKJOLD is a stylish head turning performance sailing yacht which is capable of unrivaled speed and luxurious comfort. 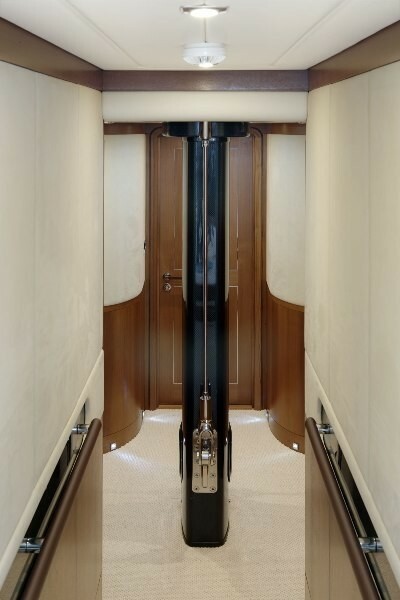 Performance Yachts launched the Dixon Yacht Design PY-100 30 m superyacht in 2009, a luxury yacht which combines the latest sailing technology with sophisticated elegance and timeless craftsmanship. 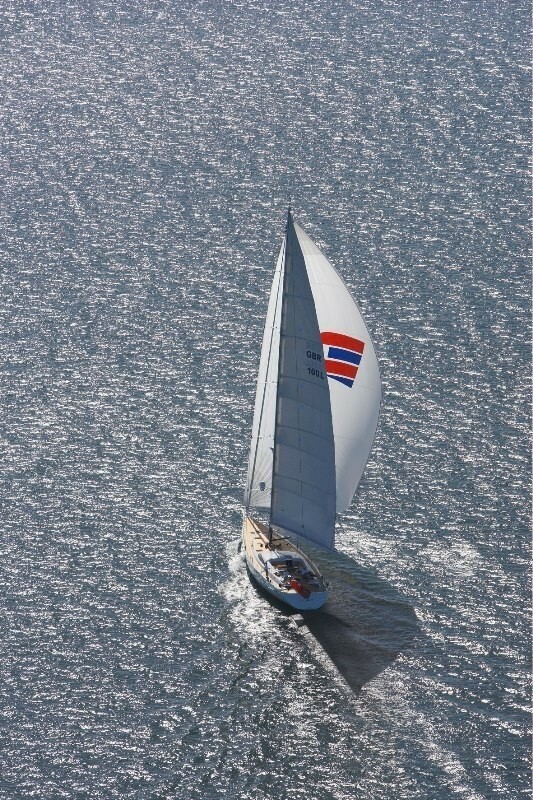 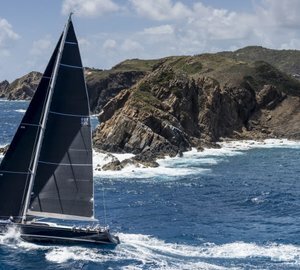 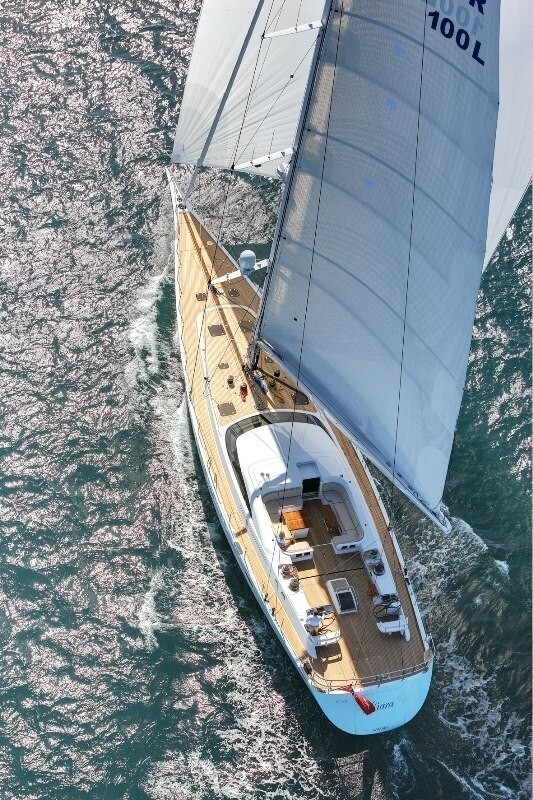 The exterior styling and interior design of S/Y DANNESKJOLD (ex Liara) is the work of the experienced yacht design team of Dixon Yacht Design, Southern Ocean Marin (builders), and Robinson Marine Interiors (interior joiner). 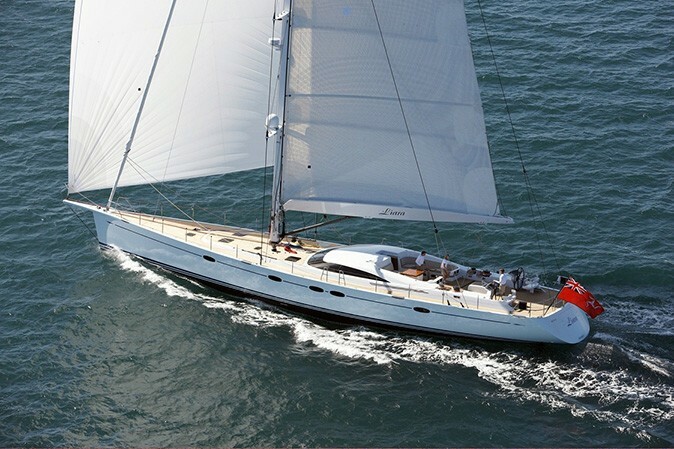 DANNESKJOLD was built using advanced high-tech composite construction. 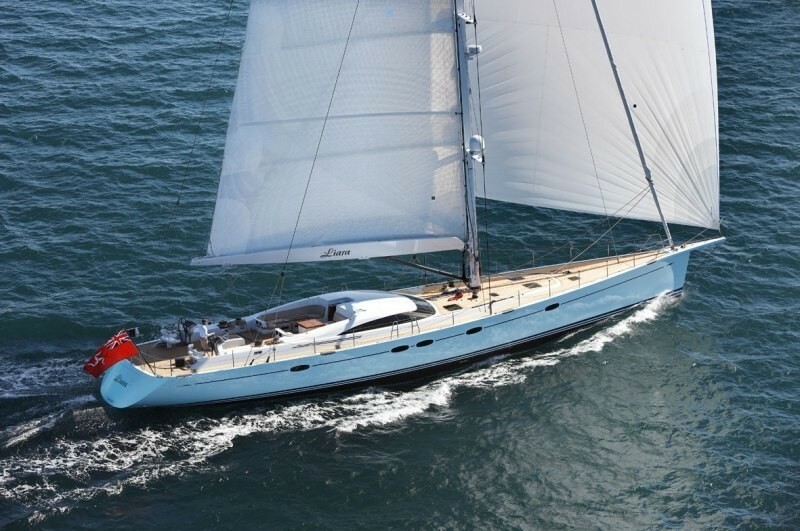 She is a light to moderate displacement superyacht that will perform at Superyacht Rallies whilst providing lavish comfort for cruising. 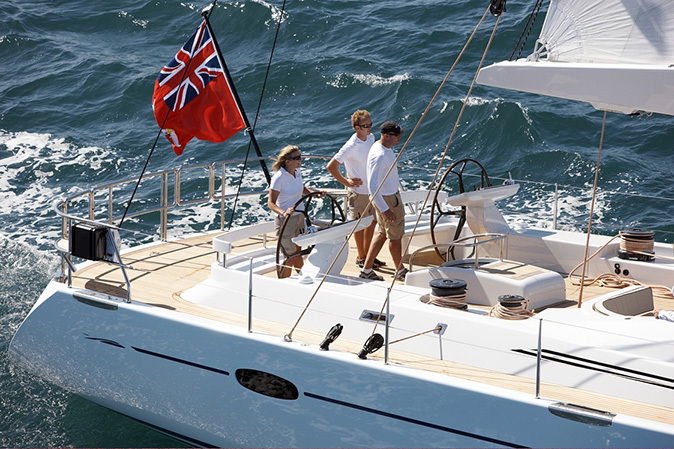 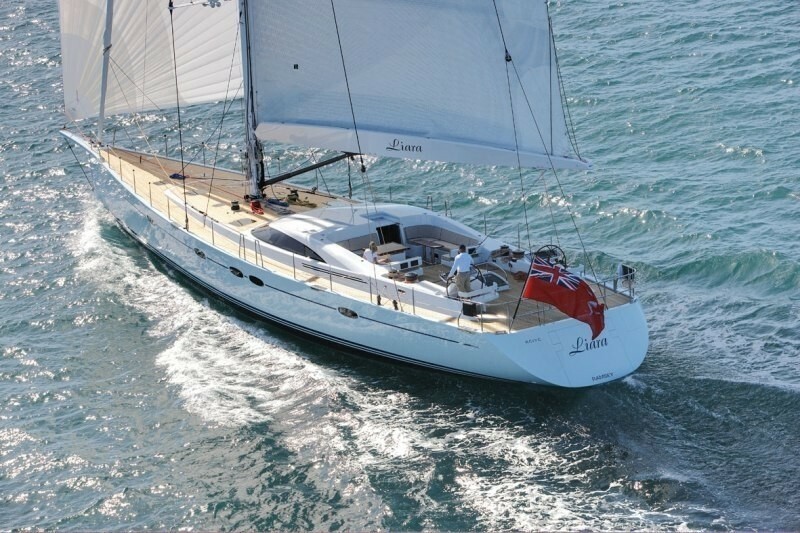 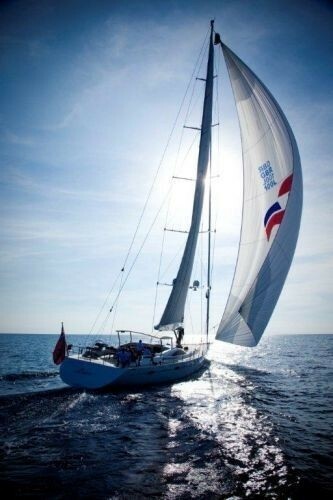 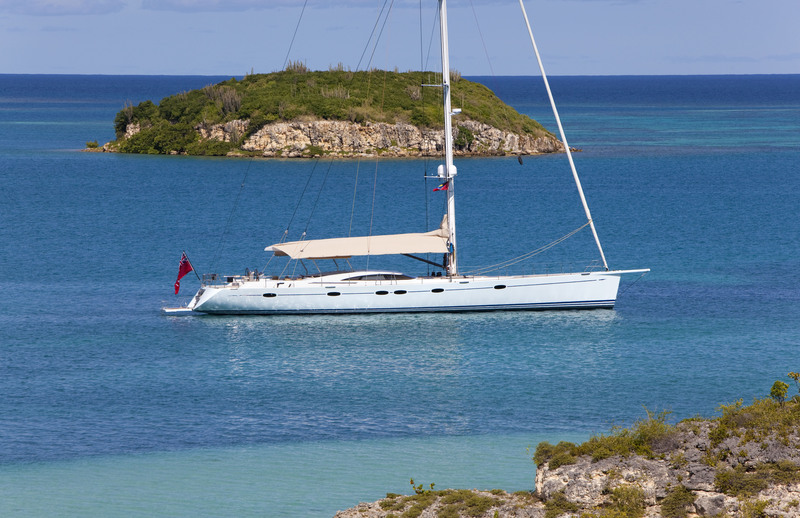 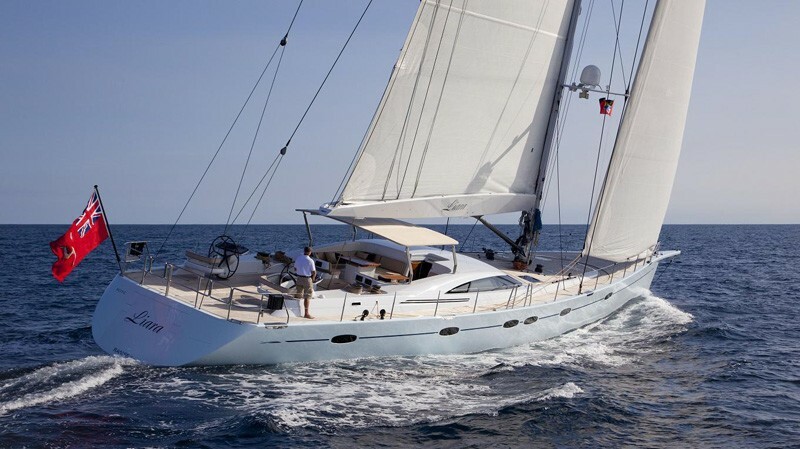 This 30m sailing charter yacht sleeps seven guests in three cabins and boasts an attentive and personable crew. 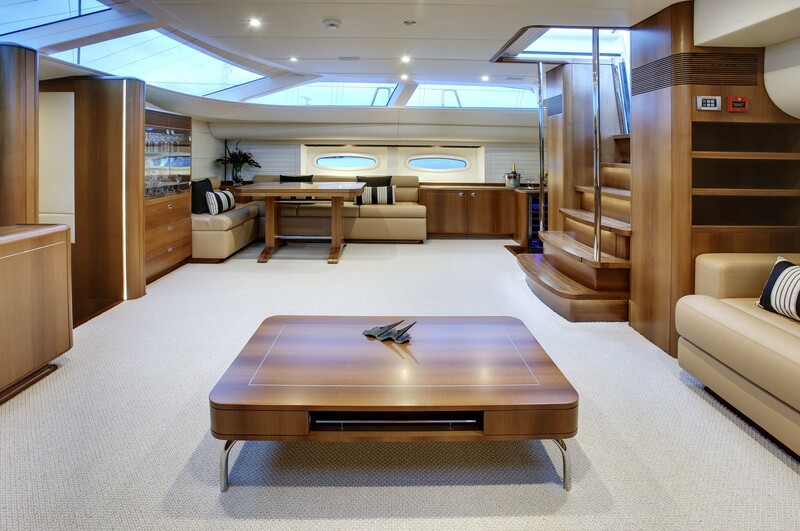 Her interior is understated, yet contemporary. 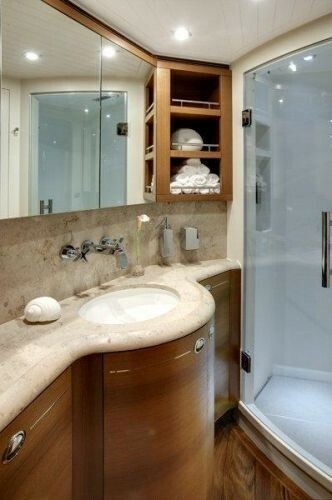 There is an abundance of wood trim and natural textures and lighting throughout. 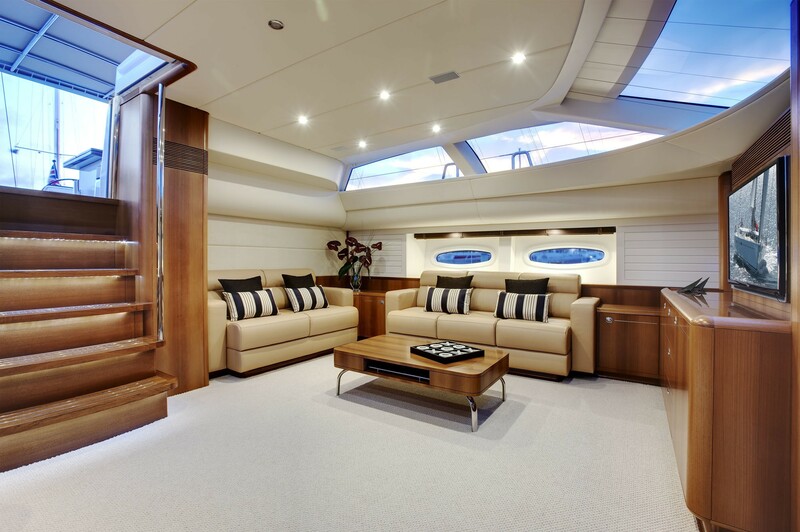 Lovely timber detailing means a cool ambiance and the designers have maximized living space without compromising functionality. 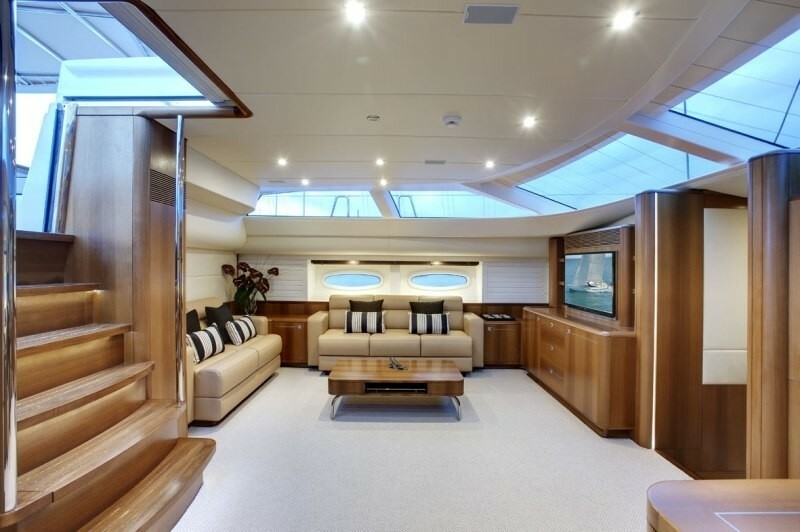 Her main saloon is peaceful when relaxing with a book from the library, styling when entertaining and ideal for enjoying a movie while lounging on the plush sofas. 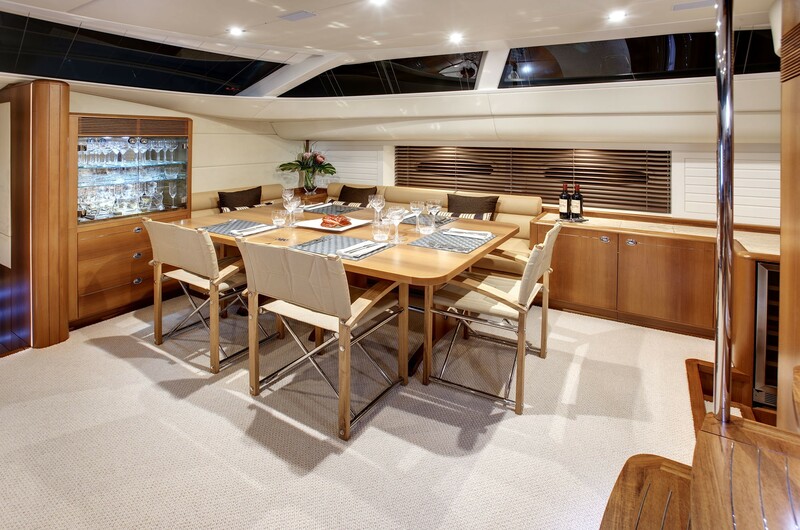 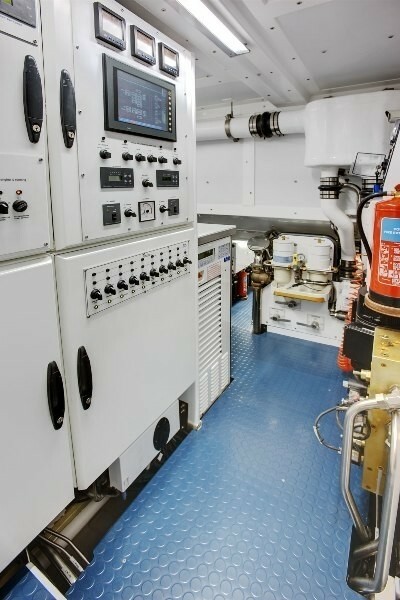 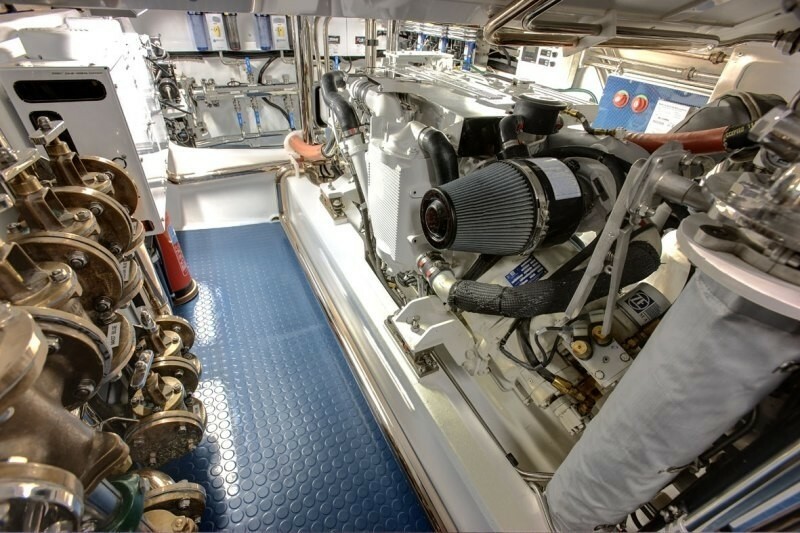 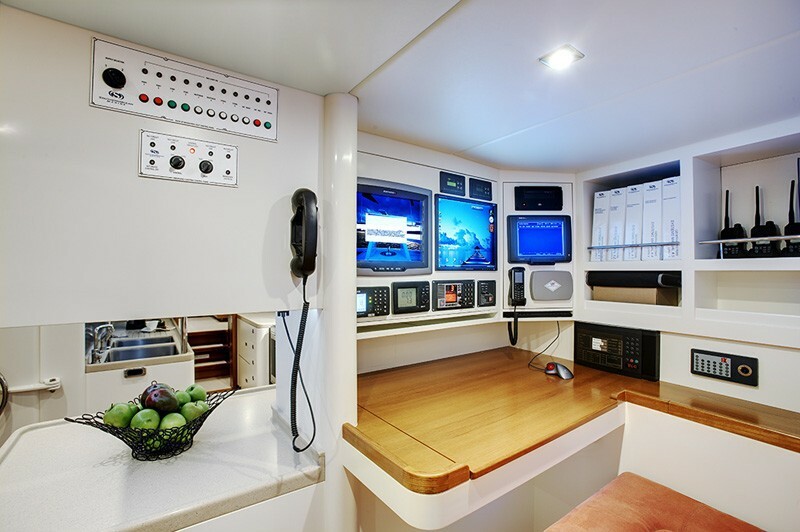 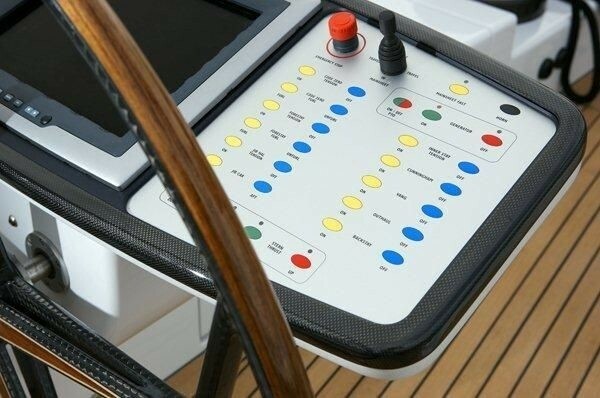 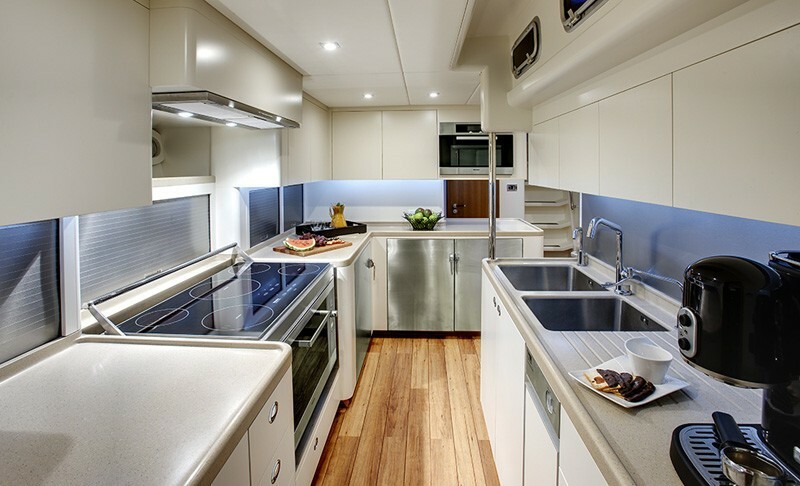 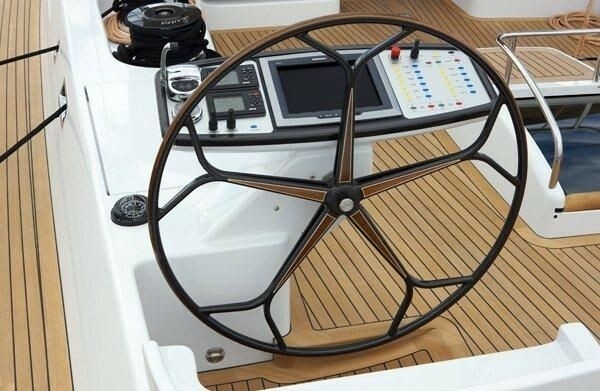 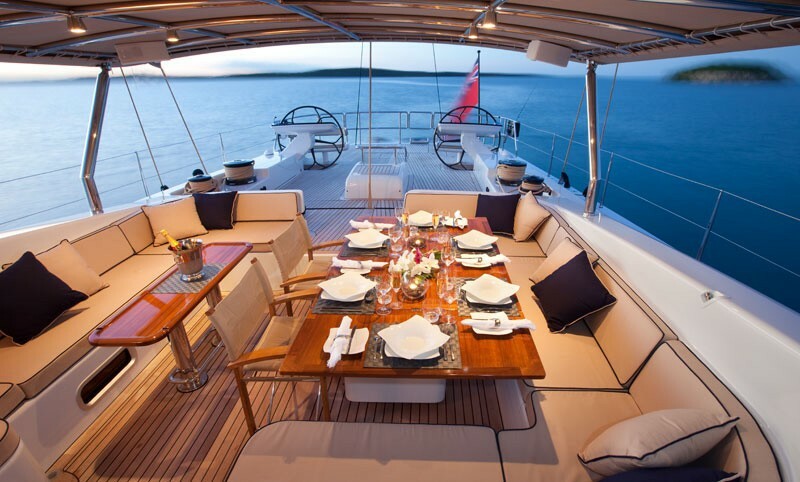 Sailing yacht DANNESKJOLD's decks are streamlined and uncluttered. 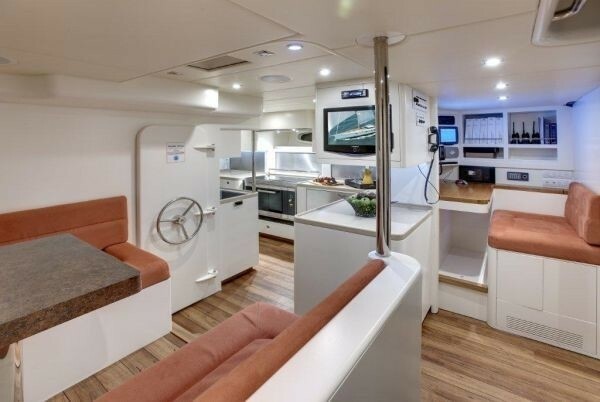 Her helming area is aft and her spacious cockpit is forward, as completed with a sunbathing space and hammock on the foredeck. 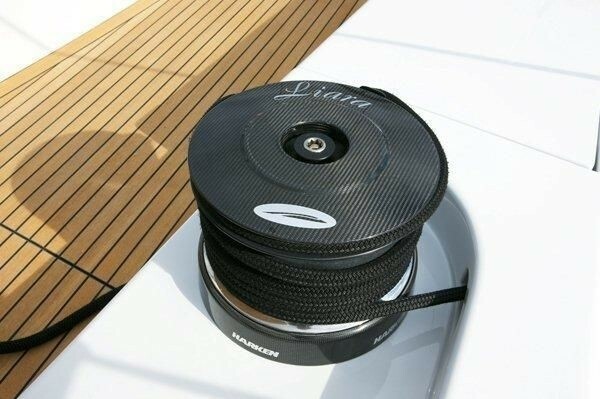 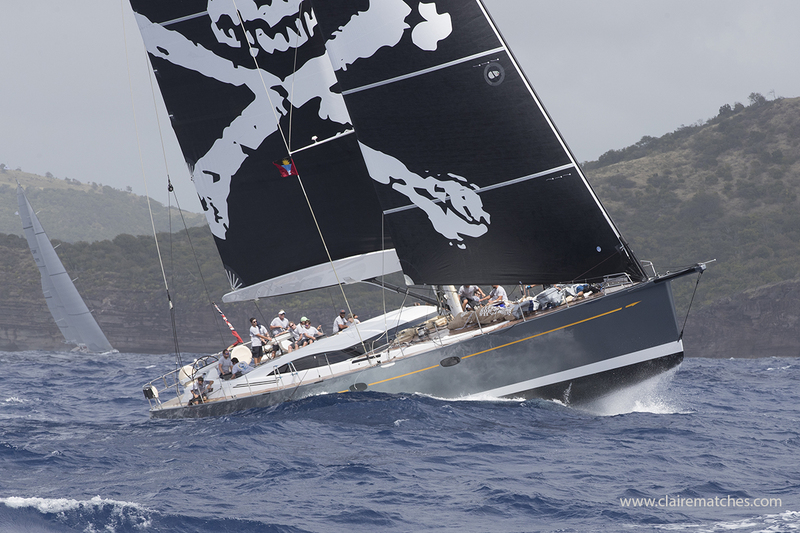 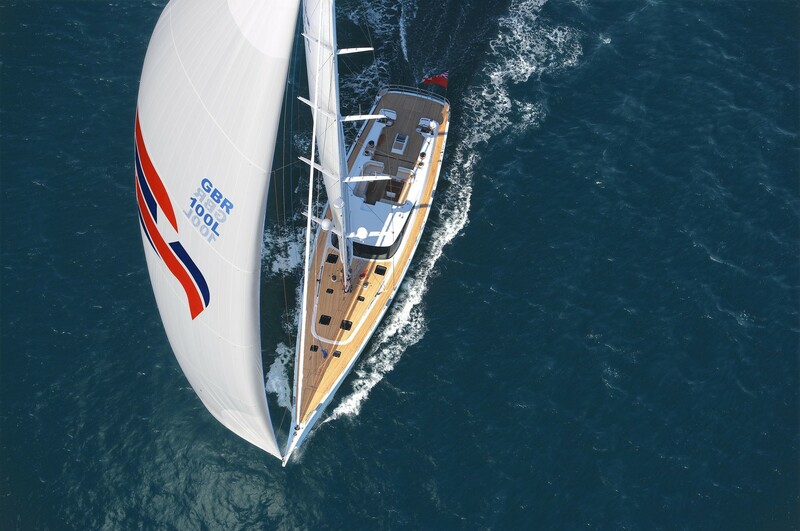 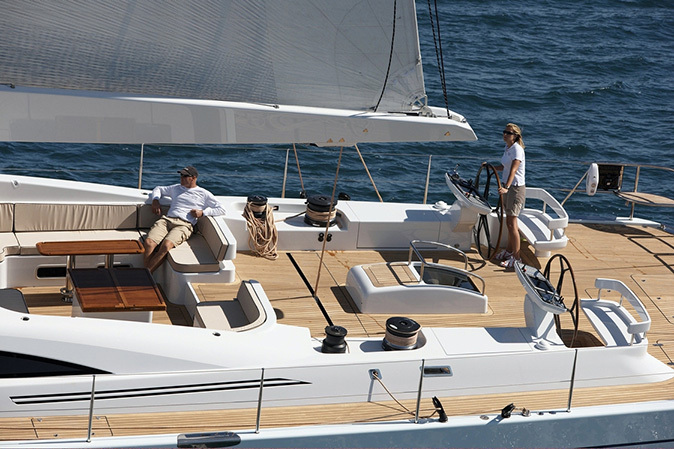 For superior sailing performance luxury sailing yacht boasts a five spreader high modulus Southern Spars carbon mast as matched with Future Fibers composite rigging. 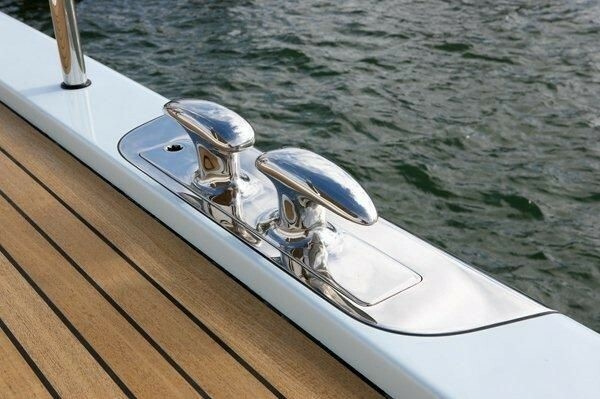 While her hull and deck is 85% carbon for weight saving, her hydraulic lifting keel (with ballast bulb) provides a draft of five meters for excellent windward performance and, when raised, the draft is just 3.5 meters, for fantastic anchoring and marina accessibility. 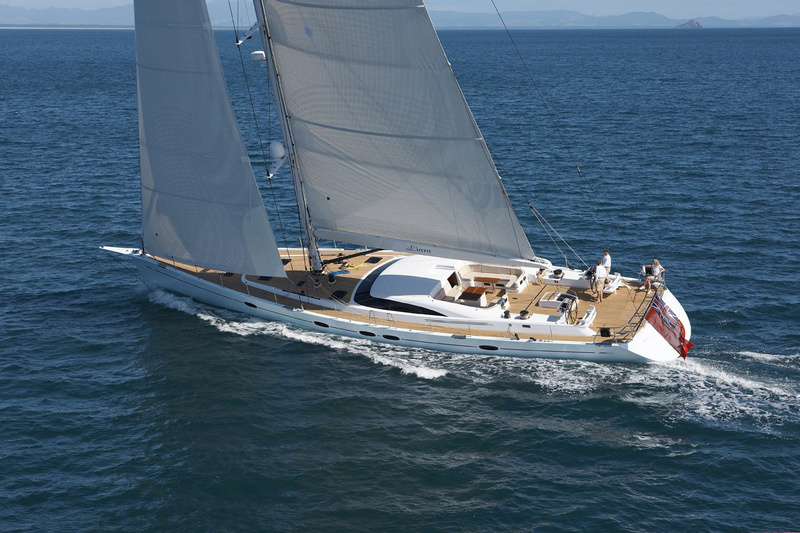 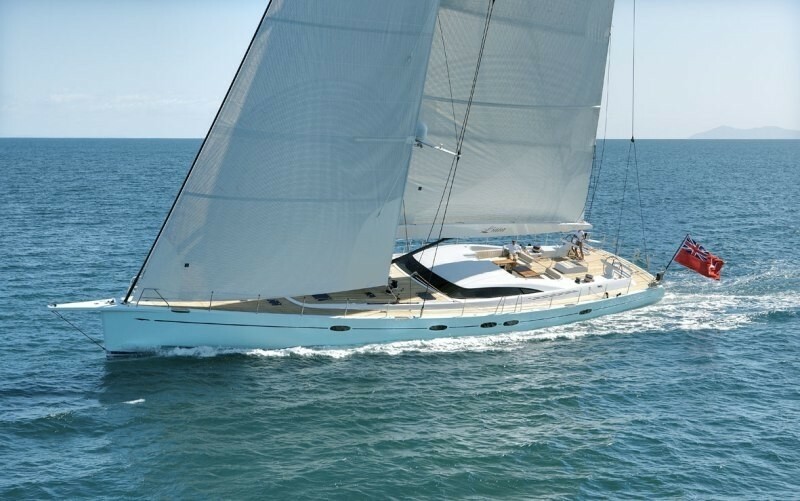 This Performance Yachts 100 was selected as a finalist in the "Best Sailing Yacht in 30m to 44m size range" and also for a special "Technology Award" in the prestigious Boat International Media 2010 World Superyacht Awards. 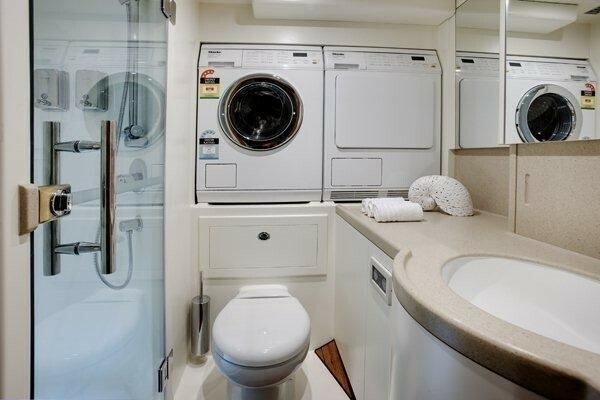 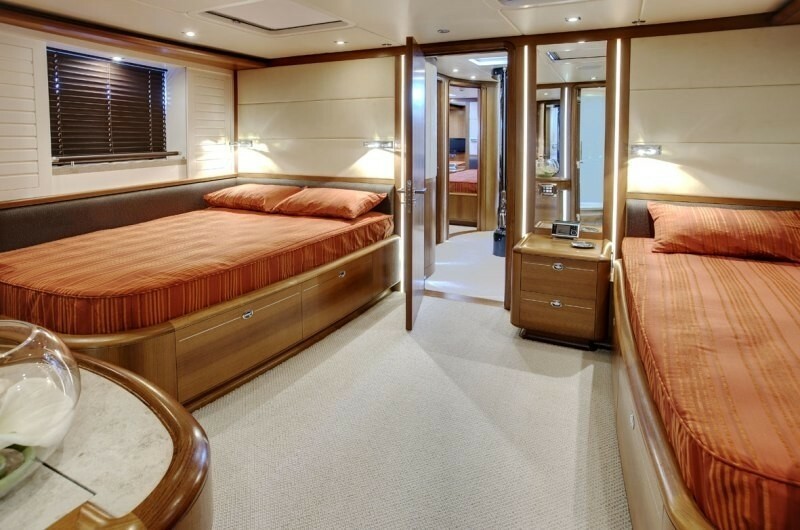 Sailing Yacht DANNESKJOLD offers luxury accommodation for 6 to 8 guests in 3 cabins. 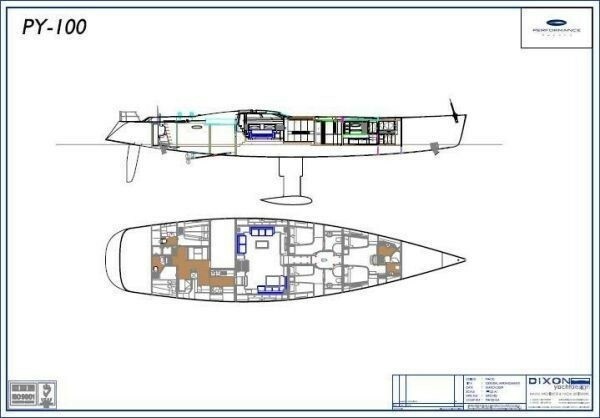 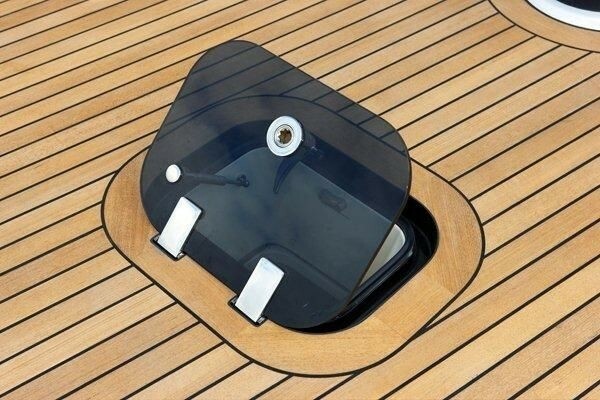 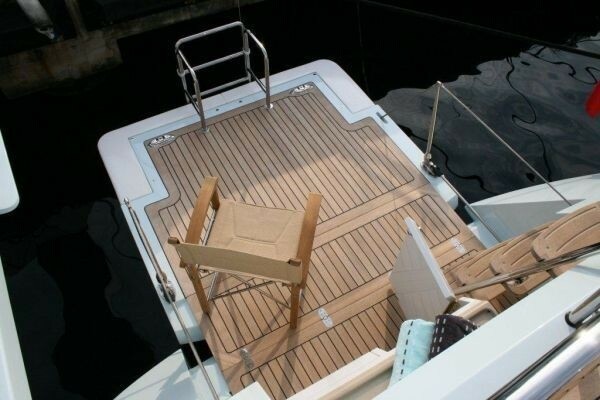 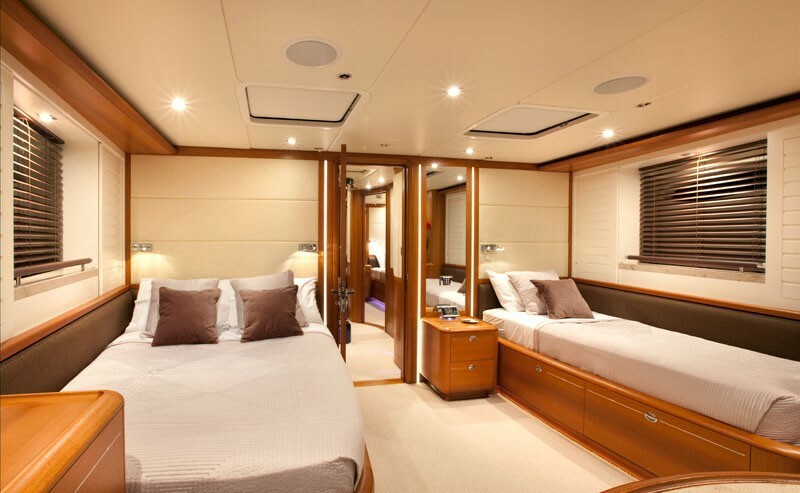 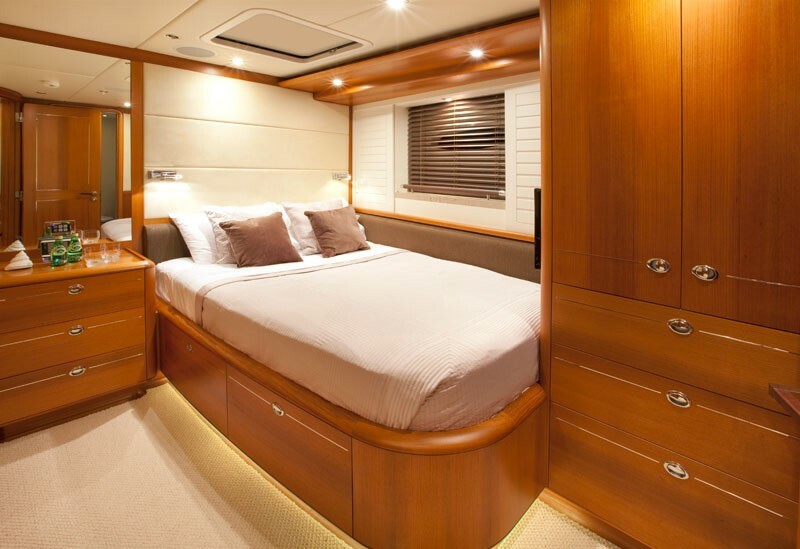 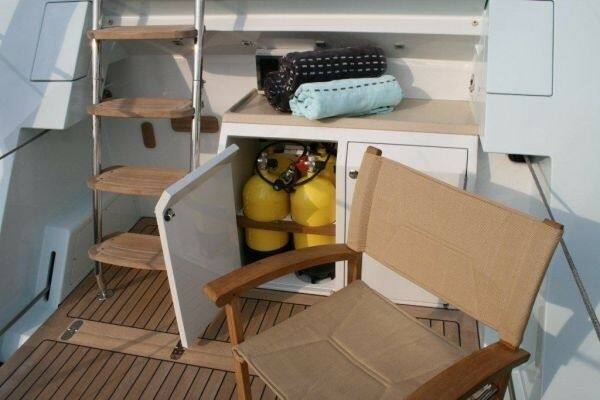 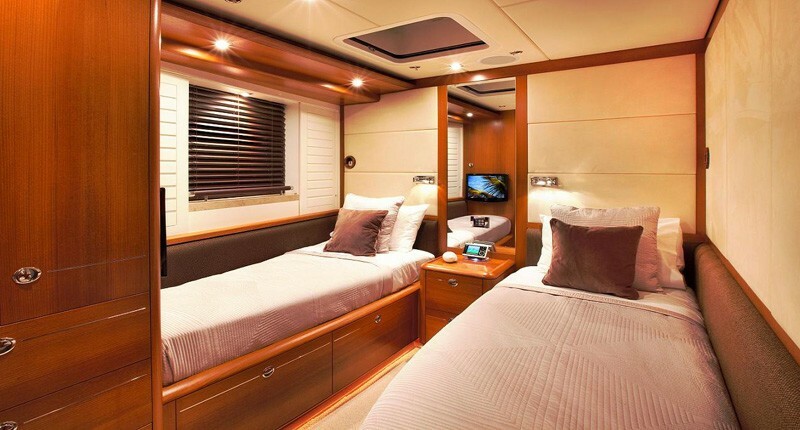 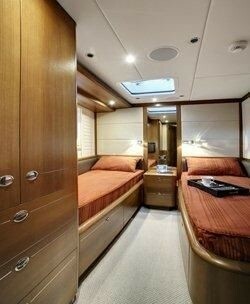 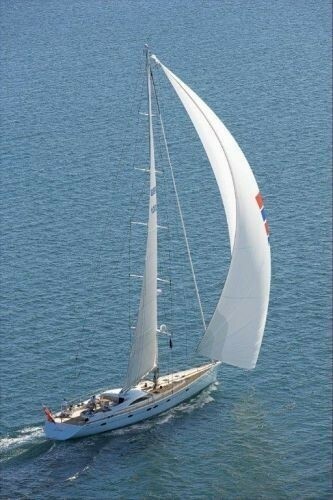 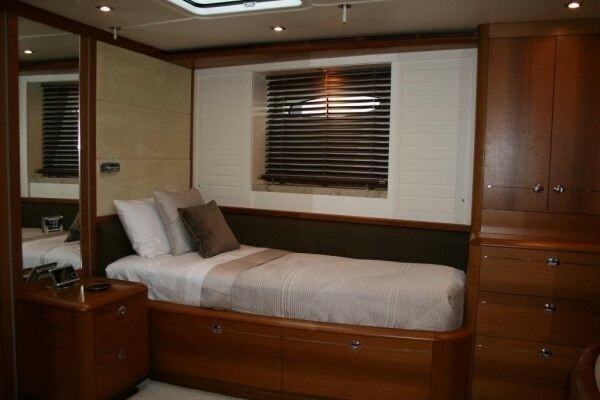 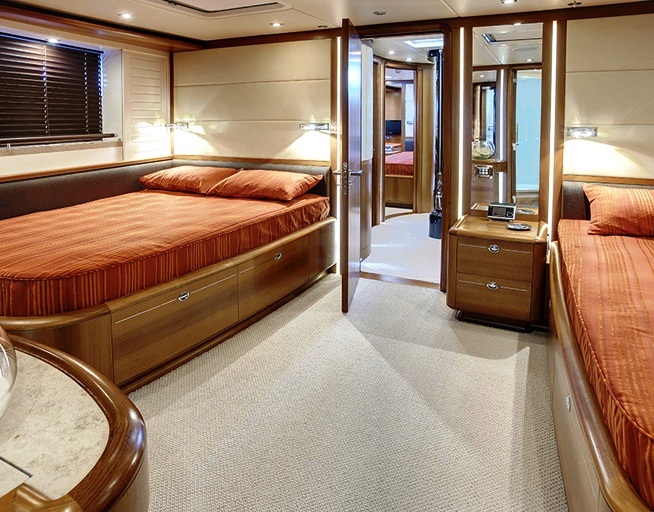 Her master cabin is forward and takes up the full beam of the yacht. 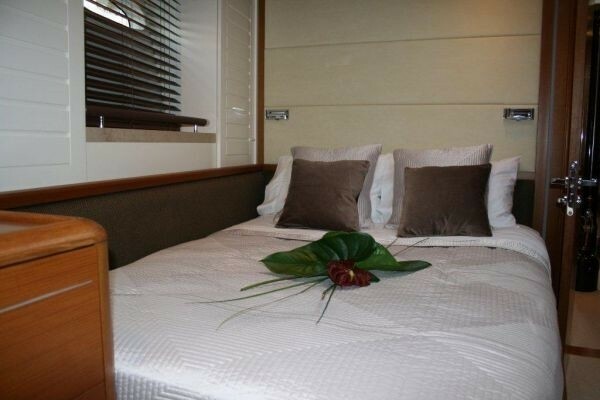 It is equipped with a double bed plus a single bed or day bed and a private ensuite head. 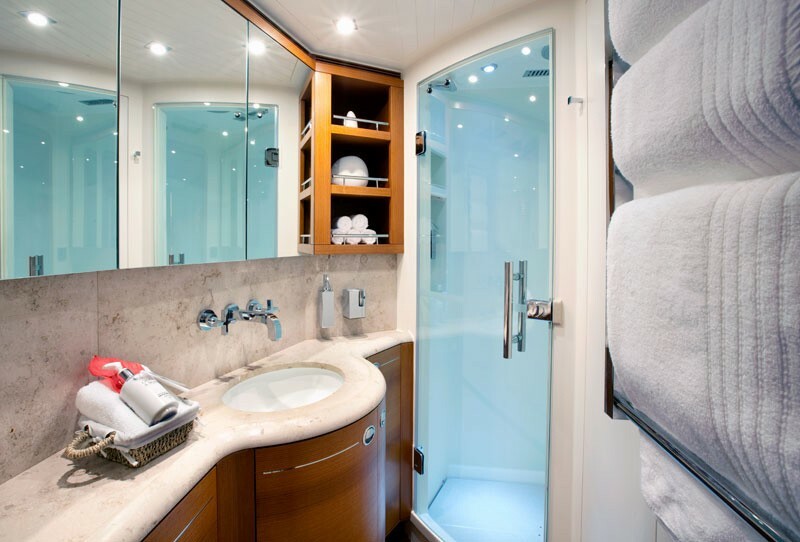 Two further guest cabins consist of a double and a twin, both with ensuites. 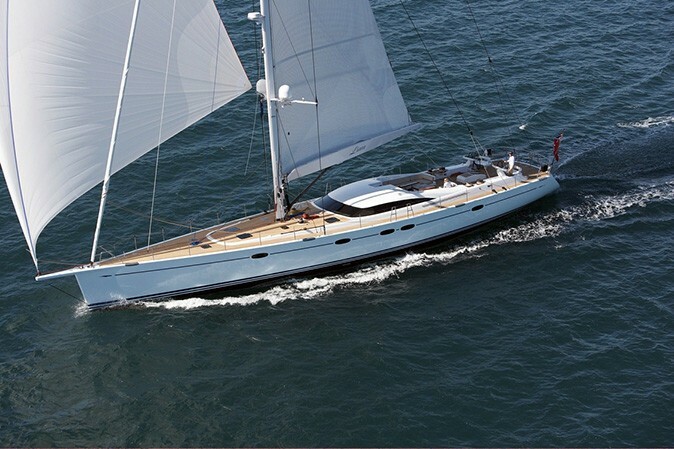 Luxury Yacht DANNESKJOLD has a good list of toys for a sailing yacht of her size. 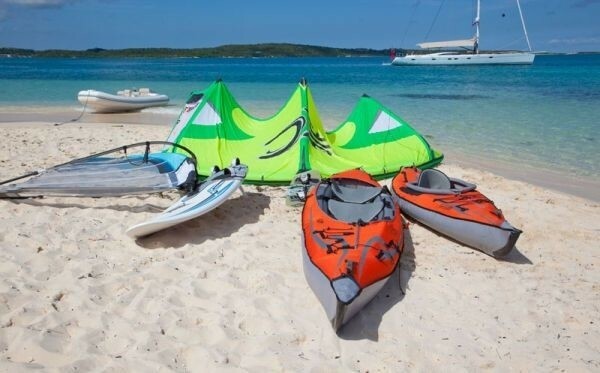 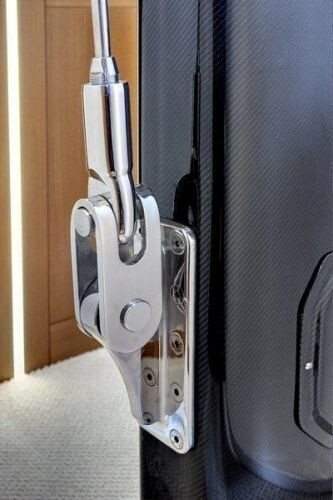 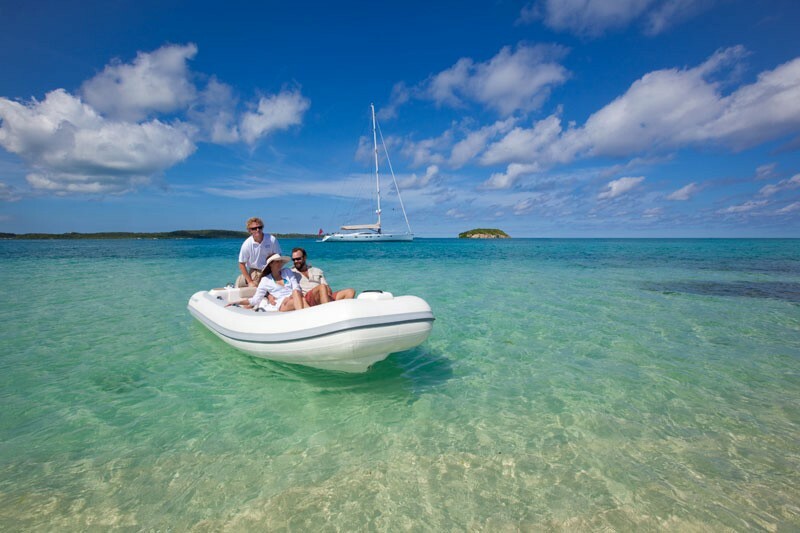 This includes a jet RIB plus a smaller RIB tender, toweables including wakeboards, waterskis, monoskis, towing tubes, windersurfers, kiteboards and an inflatable sea kayaks. 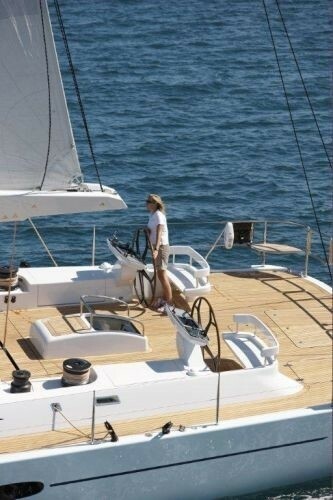 She also has two small sailing skiffs (which can be made available with prior notice).